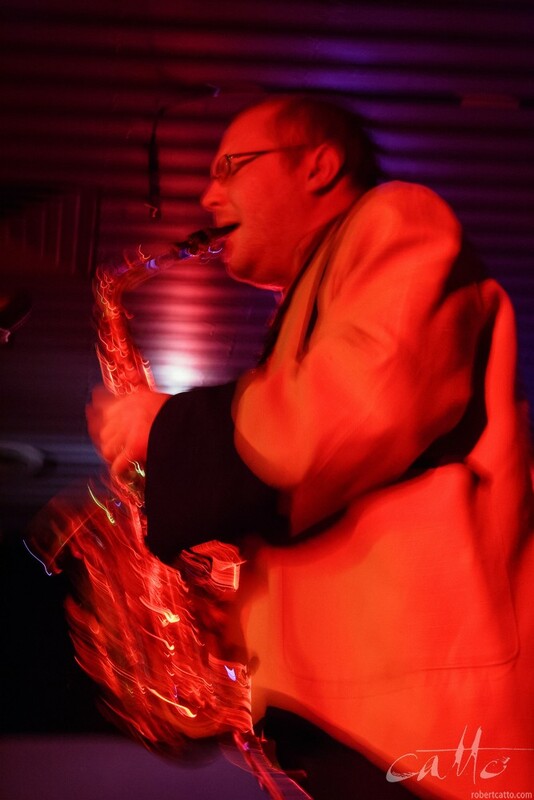 As I mentioned in last week's Lost & Found, the Wellington Jazz Festival is about to happen again in a couple of weeks - so I thought I'd have a look back at some of the earlier editions when I photographed the event for them. In 2004, we were at Happy - a small club in Wellington - and welcomed a range of international acts alongside some of our own Kiwi musicians. I remember Amy X Neuberg particularly well, in part for being the first time I'd seen a looping pedal used on stage (pretty advanced technology, in 2004!) to build a series of sound samples into a track. I realised today of course that I've kept all the brochures I had images appearing in over the years - so you can see some of the photos from previous festivals turning up again the following year. Nice to have an archive of these things, really - glad I shipped them over from New Zealand!